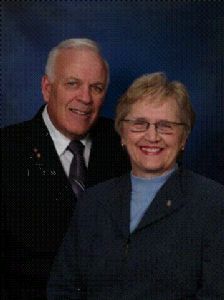 Nancy has lived in Winnipeg all her life and has been married to fellow WPP Member Dave since 1963. Nancy has been a Rotarian since 1998 but her involvement in Rotary began in 1985 when Dave became a charter member of the Winnipeg Charleswood Club. Rotary opened the world to their family, and its many opportunities became evident when Dave and Nancy started to host long term exchange students. The Rotary exchange program enhanced their family’s life, and since 1990 they have hosted 18 students. One of their sons experienced a short term exchange to Holland and their daughter went to South Africa on a long term exchange. In 1998, Nancy was invited to join the Rotary Club of Winnipeg Charleswood. She became involved in club activities and found that she has a real passion for World Community Service. Nancy has served on the District committees for World Community Service and World Peace Partners. She was honoured to have been chosen Team Leader of the Group Study Exchange Team to District 3240 in northeastern India, January 2005. In February, 2007 Nancy and Dave traveled to South Africa as part of a Rotary Friendship Tour in the Free State, their second trip to South Africa. Dave and Nancy are the parents of three married children, with six beautiful grandchildren.